Can I open carry at my university or college? I live out of state and have a license to carry, can I open carry in Texas? No. Your concealed handgun license will "qualify" you to openly carry a handgun. The CHL will become just a handgun license referred to as an LTC. Is there additional training for open carry. Do I need to retake the class? No, the new training will be added to the LTC classes as mandated by the law for those required to take the class. No additional training required for current CHL holders. Can Peace Officers require you to present CHL and ID for open carry? YES. As might be imagined, the open carry bill did not get through the Texas Legislature without some controversy. An amendment to restrict a police officer’s ability to stop and verify that a person who is carrying a handgun is licensed to do so (or falls under some other exception) was initially put into the bill to prevent possible police abuses of open carriers (Dutton Amendment), but was later removed by the Legislature’s conference committee to ensure that the bill would pass. This means that a police officer who sees a person in a public place with a handgun may detain them to determine if they are exempted from the general prohibition against carrying a handgun without a license. If a person is stopped by a police officer, and the officer asks to see ID, the LTC holder is obliged to show the officer both their ID and LTC. Once the person is verified to be in possession of a valid LTC, the police encounter should end. Sec. 411.205. REQUIREMENT TO DISPLAY LICENSE. ​ If a license holder is carrying a handgun on or about the license holder's person when a magistrate or a peace officer demands that the license holder display identification, the license holder shall display both the license holder's driver's license or identification certificate issued by the department and the license holder's handgun license. Sec. 411.206. SEIZURE OF HANDGUN AND LICENSE. (a) If a peace officer arrests and takes into custody a license holder who is carrying a handgun under the authority of this subchapter,the officer shall seize the license holder's handgun and license as evidence. (b) The provisions of Article 18.19, Code of Criminal Procedure, relating to the disposition of weapons seized in connection with criminal offenses, apply to a handgun seized under this subsection. (c) Any judgment of conviction entered by any court for an offense under Section 46.035, Penal Code, must contain the handgun license number of the convicted license holder. A certified copy of the judgment is conclusive and sufficient evidence to justify revocation of a license under Section 411.186(a)(4). Do I give up my right to open carry if I get a concealed handgun permit? No. 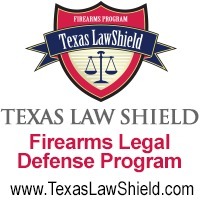 One you have completed the CHL (LTC- License To Carry) you can carry either way. Yes. As the owner or a representative of the property and does not have to be concealed NOR are you required to have a license to carry as long as you are not hired for security purposes. THE WEAPON MUST BE IN A HOLSTER (BELT OR SHOULDER) ON YOUR BODY even in your vehicle if you chose to open carry. *** FURTHER You MAY carry a loaded firearm in your vehicle CONCEALED without a license to carry. Do businesses have the right to refuse entry? YES. Businesses can refuse entry with concealed carry and Open carry. The 30.06 for concealed carry must be present and in clear view upon entry and IF the business DOES not want open carry, The 30.07 sign must be placed in the same manner. A BUSINESS CAN REFUSE OPEN CARRY WHILE ALLOWING CONCEALED CARRY. Yes, provided the property does not display a 30.07 sign. The 30.07 sign will ban open carry, while the 30.06 sign will still apply to ban concealed carry. A business wanting to completely ban firearms is required to post both. ** However, On January 1st 2016, If you do carry a weapon onto property displaying either sign, A representative of the business must advise you verbally to exit and secure the weapon. This becomes a CLASS C misdemeanor BUT if you refuse to leave you will be charged with a class A misdemeanor of Criminal Trespass by a licensed holder and will have your CHL/LTC revoked. if the owner requests removal of the weapon or asks you to leave the property, please respect his or her wishes and your credibility as a good citizen. I great deal of your time and money was spent getting this license to carry... Do not lose it due to poor choices. An unexpected benefit of the debate over the “open carry” bill is that it resulted in lowering the potential penalty for anyone accused of violating a “30.06” sign from a Class A misdemeanor (punishable by up to a year in county jail and/or a $4,000 fine) to a Class C misdemeanor, which is punishable by a maximum fine of $200 only. This is the penalty for the new 30.07 law as well. This means that even if a license holder is convicted of trespassing in violation of a property owner’s “30.06” or “30.07” sign. However,if a license holder is given a personal, verbal “30.06” or “30.07” warning such as “we don’t allow guns in here” or “you are not allowed to open carry in here,” and the license holder refuses to leave or conceal their handgun, the potential penalty remains a Class A misdemeanor. This means that if a building is USED for commercial AND Government services, PROHIBITING the carrying of handguns is UNLAWFUL unless all business in the building agree to post the 30.06 and 30.07 signs. EXAMPLE…. County building which has a tax office, court….. AND has a coffee shop, gift store or any other private business cannot prohibit the carrying of a weapon simply because it is a “Government building” you still CANNOT carry into those offices, however you CAN in fact carry into the building. The building owner, County or municipal owners can receive a civil penalty for just posting the signage.